Cloud Grey is pleased to announce that Jonah Stiennon (GitHub, LinkedIn) has joined Jonathan Lipps (Cloud Grey's founding principal) as the firm's first partner. 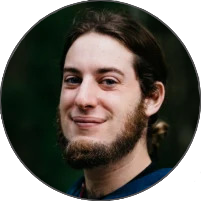 Jonah has a long history with Appium, having been one of the first people hired by Jonathan to work full-time on Appium at Sauce Labs, in the initial days of the Sauce Labs Open Source team. Despite having taken a few years to pursue other opportunities, Jonah still sits in the top 10 Appium contributors by commit count. More recently, you may have noticed Jonah contributing some posts to the weekly Appium Pro newsletter (for example, an epic guide to Getting Started With Appium For iOS Real Device Testing). We, and the Appium project, are excited to have someone with such history and context rejoin the industry and get hacking on Appium again. "I'm excited to be re-entering the Software Test Automation industry, and looking forward to working with Jonathan and Cloud Grey. 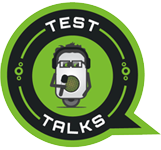 This is a big step for me personally, and I look forward to applying my skills and knowledge towards leveling up all the QA and software test professionals who comprise our community." Everybody please give Jonah a hearty welcome! And if now is the time you've been waiting for to get some help putting your mobile automation in order, don't hesitate to contact us. I am thrilled to be announcing this brand new consultancy. For a long time I have seen the need for greater professional assistance in the world of Appium automation, and the time has come to step out and make it happen. The idea behind Cloud Grey ("Appium services") is simple, and will no doubt expand and grow over time. Regardless of what it becomes, I am confident that it will enable me the time and space to continue contributing to the Appium project. There's a lot to be excited about with Appium right now. New features, new docs, new drivers, and AppiumConf right around the corner. Of course, the world of mobile automation is as confusing and volatile as ever. I hope that Cloud Grey will help Appium users to further understand the bewildering array of choices faced when starting out automating their mobile apps. I am particularly enthusiastic about the fact that Cloud Grey, even before our official launch, has joined the JS Foundation. The JS Foundation is the non-profit foundation that hosts the Appium project, along with a number of other important projects in the JS ecosystem. Given that Appium relies completely on this ecosystem, and the same is true of Cloud Grey, it's only right to support the ecosystem financially. Last, but not least, we are also launching Appium Pro, our new weekly Appium newsletter. It's designed to share interesting tips and tricks for using Appium more effectively, along with any important news from the community. Go on, subscribe now! Thanks for reading, and don't hesitate to contact us if you have any questions, or want to see particular kinds of content in this space. The best way to keep up with this blog will be to follow our Twitter account. Happy testing!